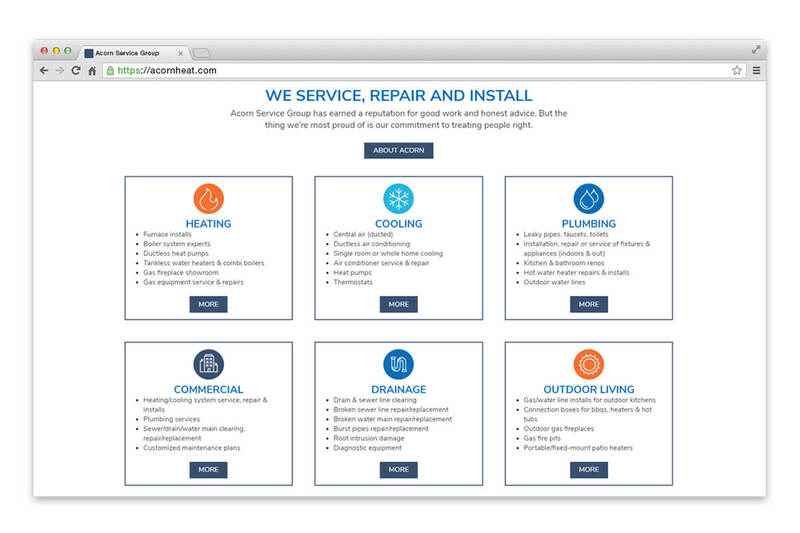 Acorn Service Group | NetClimber Web Design Inc.
Acorn Heating & Gas, a Delta based company, was growing. They had come to NetClimber years ago for their initial website development. Now, they were changing their name and altering their brand. They needed a website to reflect this and be up to date for mobile devices and SSL. They wanted a website with greater functionality and purpose, with a focus on SEO. 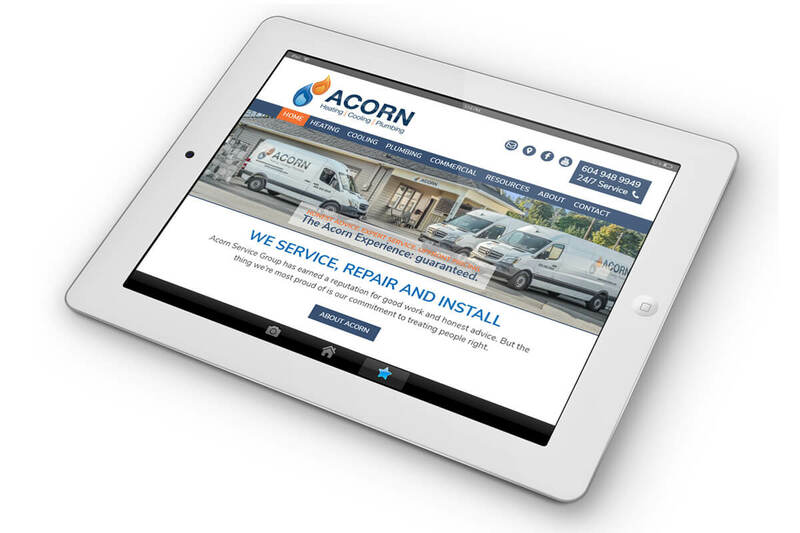 While Residential Heating & Gas was Acorn’s expertise in the past, they were now expanding their focus to include Cooling, Plumbing and Commercial Services. The website had to include all of this and yet still convey their commitment to a high standard of customer service that they had become known for. 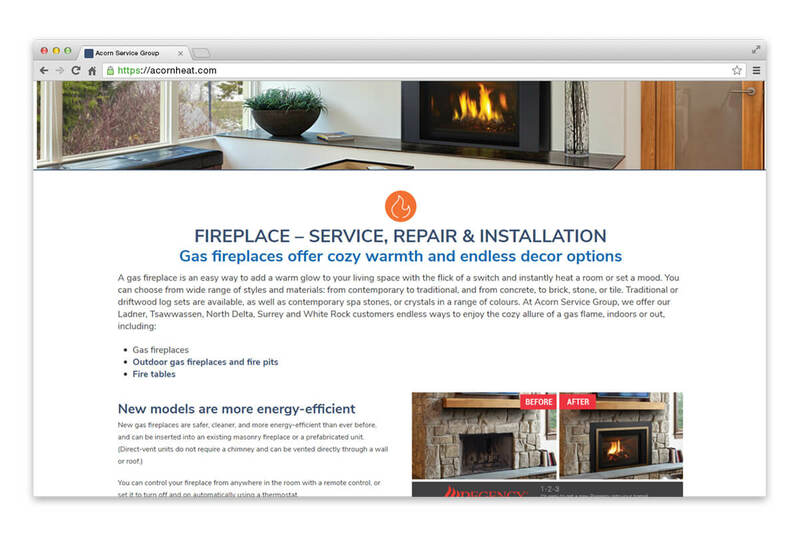 They wanted the website to display their knowledge and experience in the industry and display the products they recommend when doing new installations. Considerable attention was given to the implementation of the new branding developed by Indalma Creative. 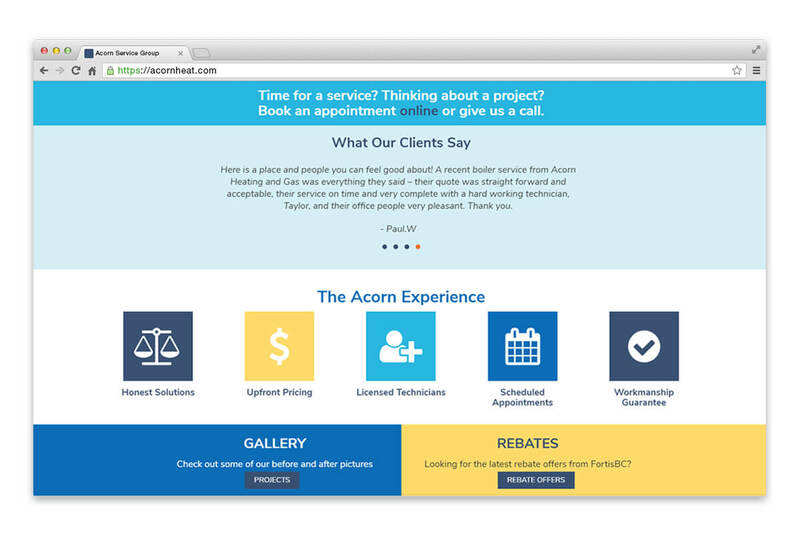 Widespread use of icons and the brand color palette was implemented for quick identification of Acorn Services. The site required multiple template layouts with customization and unique functionality. The blog was implemented as a Gallery to display Before and After installations. To get the website quickly and efficiently populated with content and prepped for launch, Acorn Service Group utilized NetClimber’s Content Entry Services. 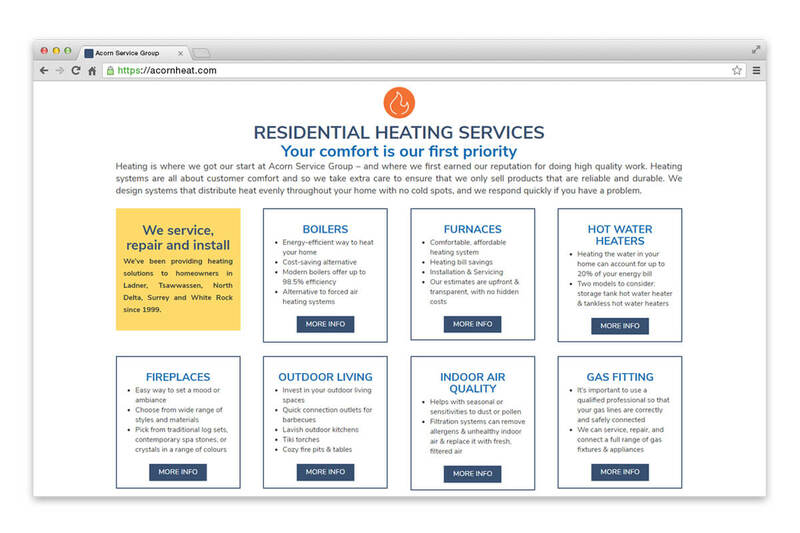 Acorn Heating Home Page BEFORE the re-design. 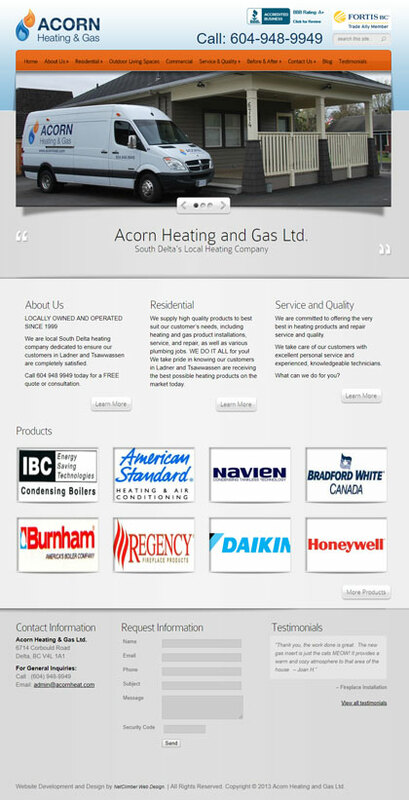 Acorn Heating Home Page AFTER the re-design.